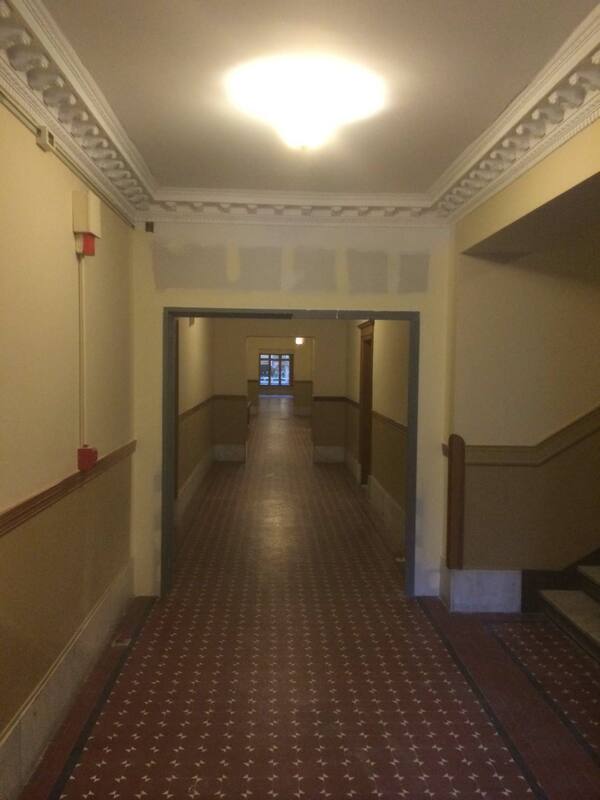 Kelly Plastering employees recently worked this historic building on Lake Shore Drive. They brought the plaster work back to its original brilliance by patching and skimming the walls, ceilings, and cornice as well as reconstructing large damaged sections. 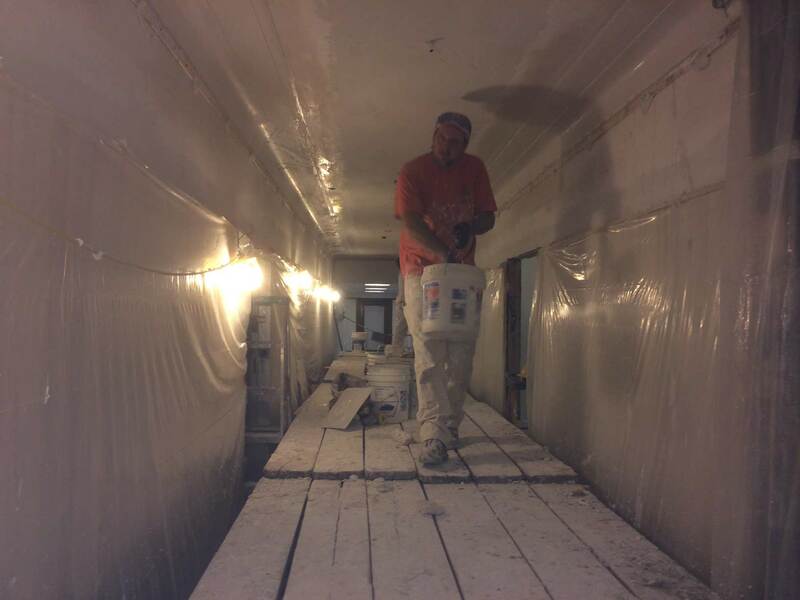 Kelly Plastering recently completed Dryvit repair and re-skimming on this storage building in Lockport. The damaged wall looks brand new again. Afterwards it can be painted and have a sign mounted to it. Dryvit provides excellent lightweight insulation. 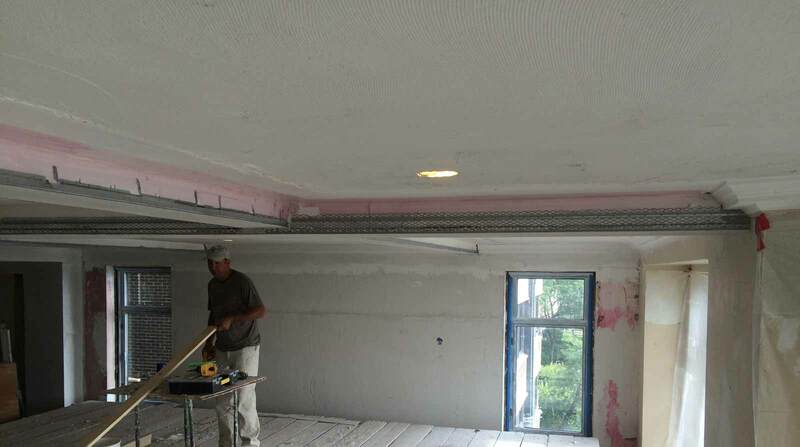 This is a basic Dryvit application, but with Dryvit the design possibilities are unlimited. This is what’s called a nail over plaster ceiling. 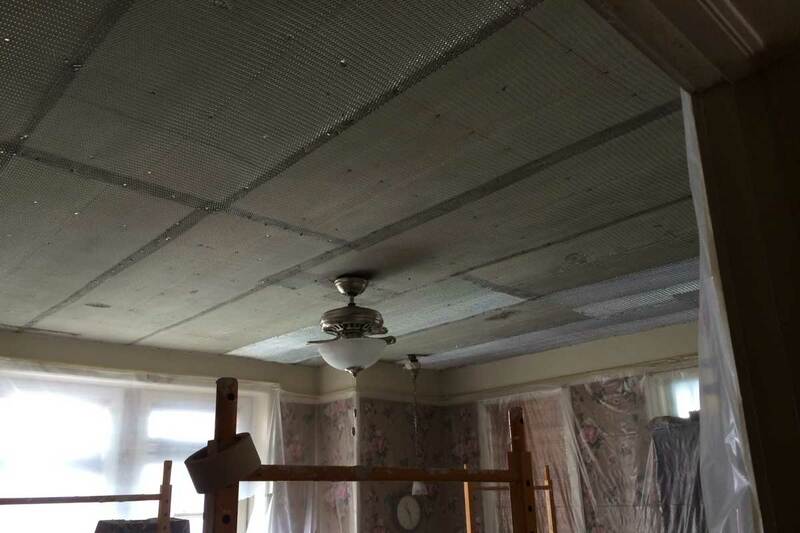 No matter what shape your ceilings or walls are in Kelly Plastering can nail metal lath over any old plaster and make it look brand new. 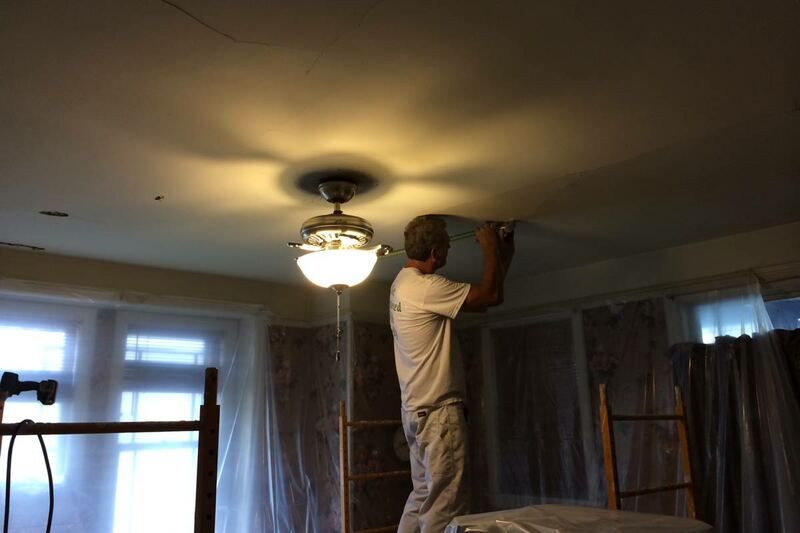 It’s always better to save you plaster rather than tear it out and replace it with Drywall. 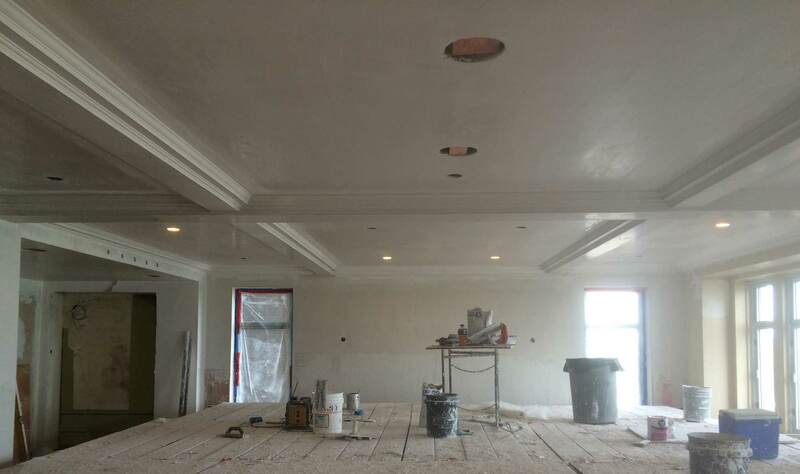 Click here to see some reasons why plaster is better than drywall. 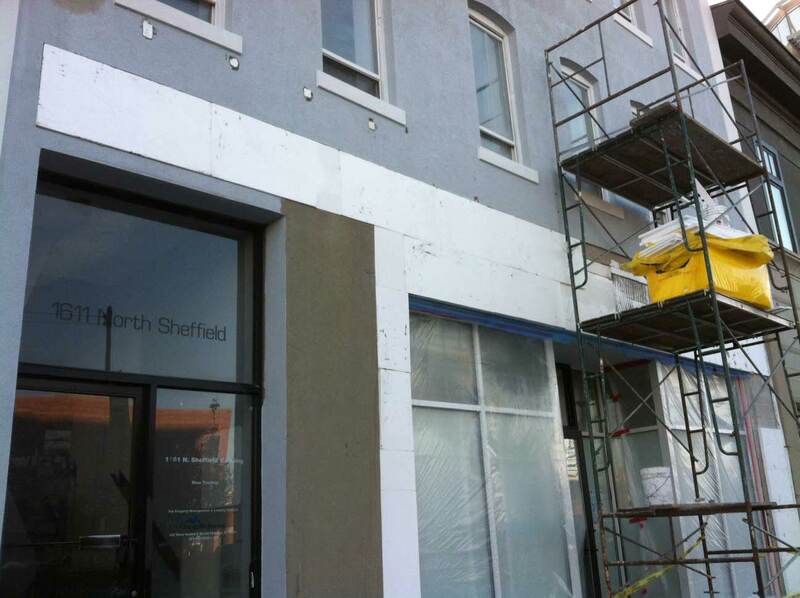 Kelly Plastering employees are currently repairing damaged Dryvit on the front of this building in Chicago. Often times water isn’t properly redirected away from the building and Dryvit (as well as other siding materials) can be damaged. 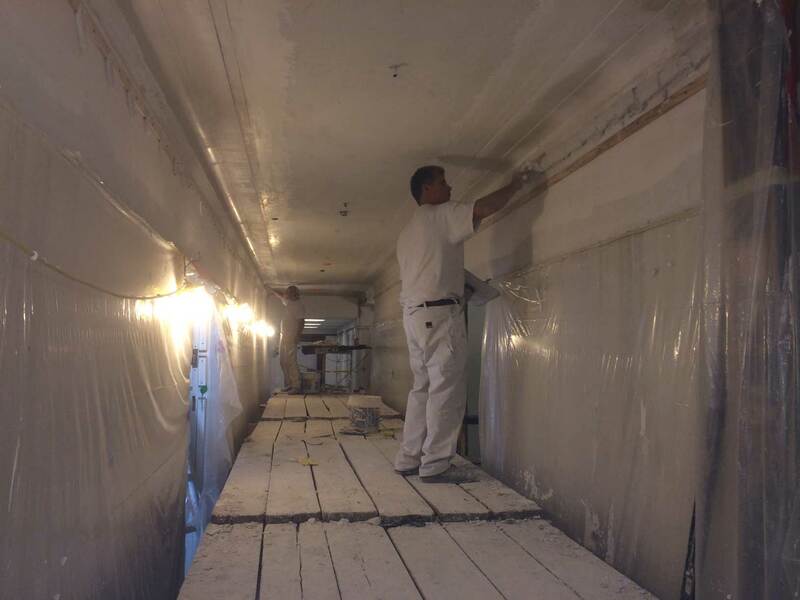 The first step in repairing Dryvit is figuring out what caused the damage in the first place and taking steps to ensure that it won’t happen again. Here you can see that the damaged sections have been cut out and new insulation board has been added. Afterwards, layers of fiberglass, a base coat, and a finish coat will be added. This building did some remodeling and added four doorways. 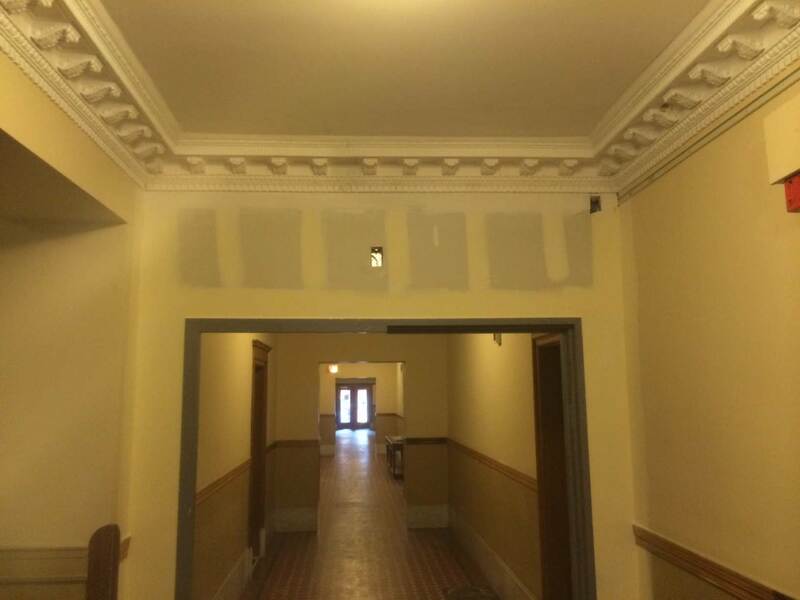 That meant they needed to recreate the existing cornice so it could wrap around the doorways. To do so Kelly Plastering first brushed rubber on the existing cornice to create a mold for plaster casting. The end result was an exact match of the antique ornamental plaster. 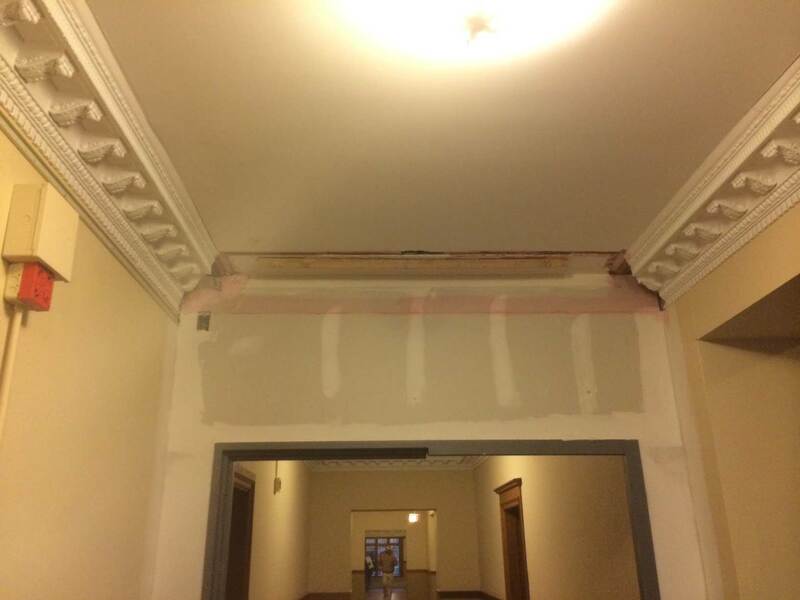 Kelly Plastering is currently repairing ornamental plaster cornice at this beautiful 1920s art deco building on Michigan Avenue. 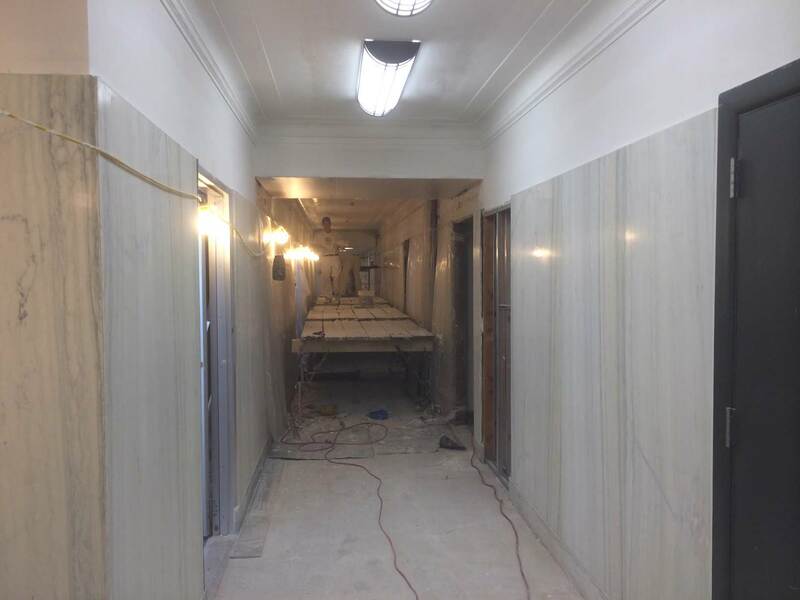 They are capable of matching crown molding, cornice, or anything else that may save the historically significant aspects of a building or home. 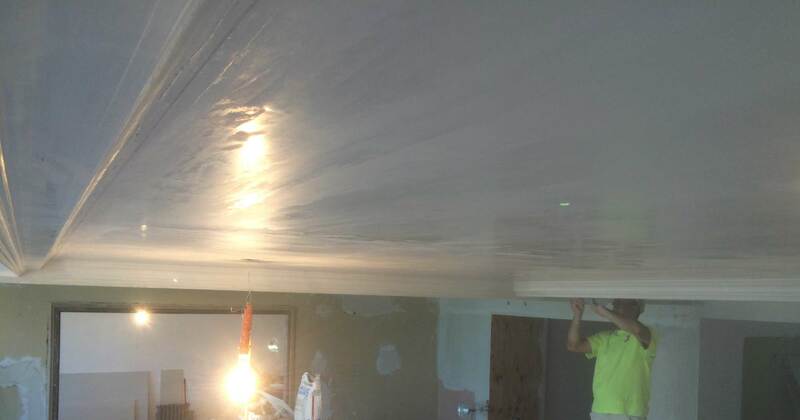 Kelly Plastering is a Chicago plastering contracter and company that was started in 1966. They install and repair plaster, stucco and dryvit (EIFS). 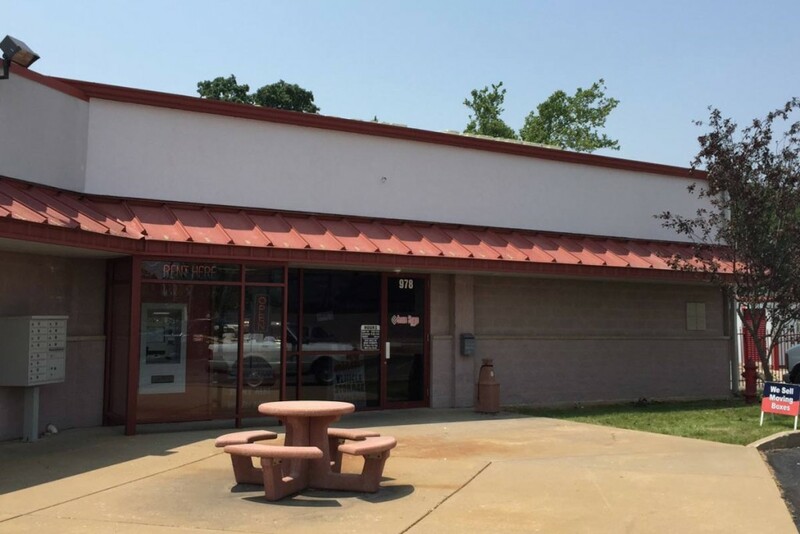 They are a family owned business that offers residential and commercial services.